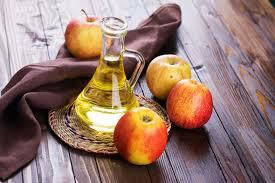 If you do not have pores on your skin, your body would not be able to sweat or remove excess oils. However, some people have visible pores that look quite unsightly, which is the reason why they want to know how to minimize pores. Pores have a role to play in your health, so you cannot make them disappear, but you can try ways to make them look smaller and less visible. Many natural remedies are available, but you should not try them all at the same time or else you might damage your skin further. You should wash your hands often and especially before you touch your face. Avoid picking or touching your face as much as you can, or you will end up causing more damage by transferring dirt and oils from your palms to your face. Use skincare products with high quality ingredients to nourish your skin. Just do not use too much of these products or you might irritate your skin further. A number of remedies are available, but it is better to stick to one for long enough before moving on to the next one. Trying so many things at the same time can cause serious problems. The presence of lactic bacteria and probiotics make plain yogurt quite beneficial for your skin. By targeting bad bacteria on your skin, it helps minimize pores. It also helps dissolve any dirt in your pores. Direction: Take some yogurt in a bowl, stir it well, and apply it directly to your face. Use only a thin layer of yogurt and rinse your face with cool water after 10 minutes. Do it twice a week to get good results. It works by maintaining the pH balance of your skin. It gently exfoliates your skin and removes any impurities on the surface of your skin. Avoid this remedy if you have very sensitive skin. Direction: Add 2 tbsp. of baking soda to 2 tbsp. of warm water and mix well. Apply this paste on your face. Massage your skin by moving your fingers in circular motions. Use cool water to remove the paste after 30 seconds. Do it once daily for a week to see good results. Egg whites can help tighten up your skin and eliminate excess oil at the same time. Therefore, it is an effective choice for people with oily skin. Lemons are also beneficial because they help with the pH balance of your skin. Direction: Take two egg whites and whisk them. Extract juice of half a lemon and mix with egg whites. Apply the mixture to your skin and leave it there. When it dries, use cool water to wash your face. Do it a few times every week to see results. Learning how to minimize pores is sometimes as simple as applying ice to your face. Regular use may help shrink those large pores. Ice works because it has a skin tightening effect. Direction: Take a clean washcloth and put some ice cubes in it. Now, apply it to your skin for 30 seconds. You can do it a few times a day until you notice some improvement. It has astringent properties and helps tone your skin. 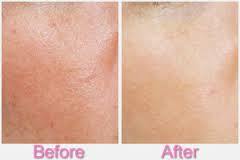 It reduces large pores by tightening your skin and restoring its pH balance. It also has anti-inflammatory and antimicrobial properties. Direction: Combine equal amounts of water and ACV. Dip a cotton ball in this solution and apply directly to your face. Rinse it off after a few minutes. Try it every night before you go to sleep to get good results. 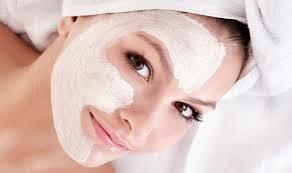 You can reduce the appearance of large pores by exfoliating your skin, and you can do it using sugar scrubs. It helps remove impurities and any excess oil. Direction: Combine 1 tbsp. of olive oil, 2 tbsp. of sugar, and a few drops of lemon juice. Mix well and apply this mixture on your skin. Rub gently for 30 seconds and then wash your face using cool water. Repeat twice a week for best results. Wondering how to minimize pores? Regular use of cucumber can help shrink your pores and improve the overall quality of your skin. Direction: Take a fresh cucumber. Grate it to get its juice. Now, dip a cotton ball in it and apply the juice to your skin. Wash your face with cool water after 20 minutes. Thanks to its exfoliating quality, oatmeal works great to remove dead skin cells and impurities from your pores. Direction: Combine 2 tbsp. of oatmeal, 2 tbsp. of milk powder, and 5 tbsp. of honey. Mix well and apply it to your face. Rub gently while moving your fingers in circular motions. Wash your face after 15-20 minutes. Try it at least twice a week for good results. 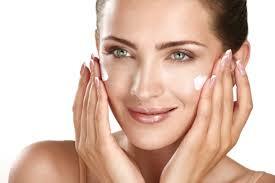 When you have problems with large pores, you need to ensure that you do not skip moisturizer. Just be sure to get a high quality, noncomedogenic moisturizer and use it at least twice a day to avoid dryness. If your skin is dry, your body will trigger the production of oil that can cause blockage in your pores. So, remember, moisturizer is your friend. When it comes to how to minimize pores, you should also do whatever you can to protect your skin from harmful UV rays. You need to limit your exposure to sunlight. If you have to go out, be sure to wear sunscreen. You should also wear a hat and other protective clothing to avoid damage to your skin.